It is such a delicate balance: Wanting and needing to explore the vastness of the world diametrically opposed to staying within our doorways and nourishing the love within them. Burning Man serves as a microcosm for our own restless hearts; A time to get out and explore the unknown, a time to wander aimlessly, a time to look at the world with fresh eyes, an open mind, and best of all, an open heart. Burning Man 2013 was no different in the bigger picture complete with all the small and large trappings to entice one out of their tents, yurts, and camps, but it was also replete with just enough heart warming conversations and love to keep one glued to their chair for a day or two too. It was my third Burn. The first one had opened my eyes to a world of possibilities – both external and internal – that I never knew existed. The second one had allowed me to explore these possibilities a little bit deeper in a meaningful and fully conceptual way. And the third one – THIS one – had allowed me to integrate these conceptions into my being. I had never been more calm. More relaxed. More open to all the wonder of the universe coming toward me and me drinking it in, like a fine wine, savoring each sip fully and completely, wanting it to last for eternity. Five girls in a 30 foot R.V. arrived on La Playa, a little later than usual (Gates open at 6 PM on Sunday), Tuesday morning at 530 a.m. It was a nice surprise, when our greeter came to the driver side window and to my shock and awe it was a friend from back home! 68 thousand people at Burning Man this year, and we lucked out by having a friend wave us through. I almost jumped through the driver side window and into his arms! We had 3 virgin Burners with us, so they were welcomed accordingly and received the great privilege of banging the gong followed by a roll in the dust ceremony, for entrance. Once through the gates, we found our camp fairly easily and parked the mammoth unit temporarily, while we got ready to hit the Playa for the first time. The walk out to the Man was beautiful – crisp pre-dawn light as the billowing sun to the East began to rise. 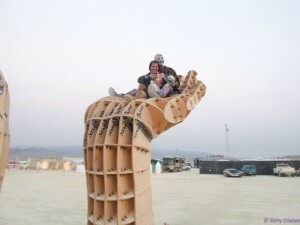 Our first interaction was with a Mime sitting in one of the Art Projects: Two Giant hands pointed toward the sky. One of the girls thought that he needed company in that hand and climbed up to officially greet the Sunrise with him, and for her efforts, she was treated to a back rub. I couldn’t help but reflect on all the hands that had held me over the past few years, and how those hands had elevated me. And definitely how Burning Man 2013 would be no different in that sense. Complete strangers, from different backgrounds and ways of life coming together to try and elevate others. 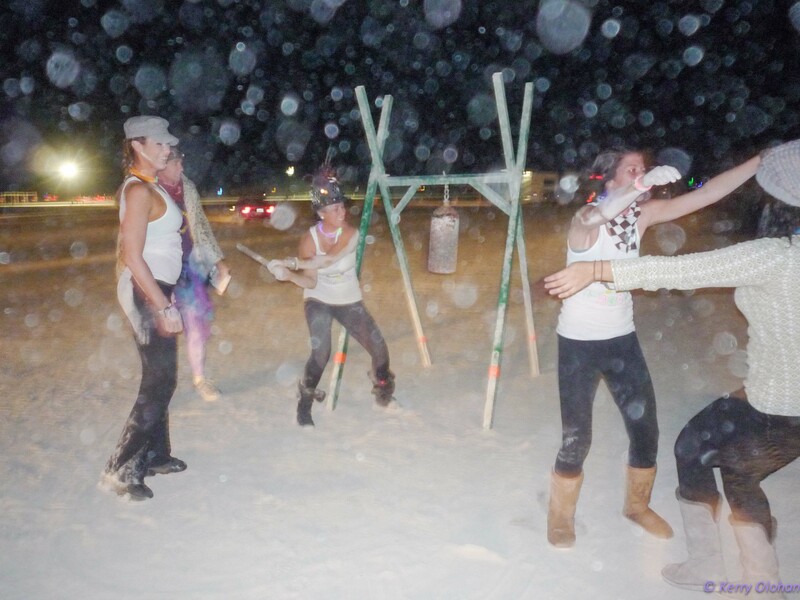 This, to me, is the true essence of Burning Man. 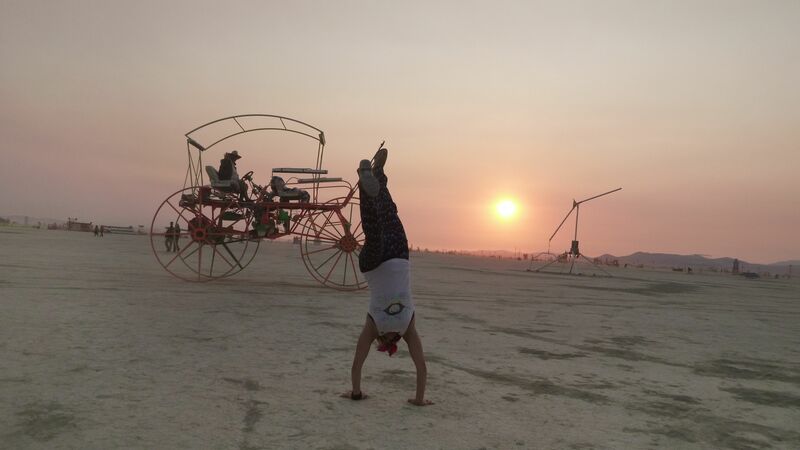 The morning was magical as we watched the Playa come to life, rode in an Art Car or two, and made it back to camp just in time for breakfast. It was great to say Hello to all of our friends again. A little relaxing after breakfast, before we realized that it was Tutu Tuesday! Everyone gathered their gear and got dressed and we were off to Explore the Playa by bikes this time. The magic continued as the art of the day began to take shape. The many beautiful interactions of the week unfolded as I popped in on some Acro Yoga at Center Camp, and revisited some of my favourite places, Spanky’s Wine Bar, The Distrikt, The Pink Mammoth etc. to reconnect with old and new friends alike. By far, the past 3 Burns have been highlighted with my pilgrimage to The Temple. This year’s Temple did not disappoint. It was elaborate and beautiful and even more of a story this year, as it was made only with wood and glue. While the architecture, alone, is magnificent, it is the stories that line the Temple walls that make it truly a humbling and deeply meaningful day. The day the Man burns is the party night of the week, and I think that I managed to make it to 10 PM since we had watched the sunrise after a LONG Friday night of dancing. 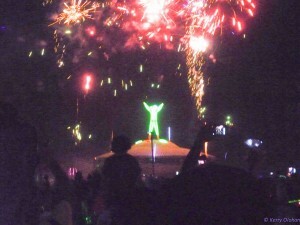 It was still fantastic to see all the people come together and watch the fireworks and the Man burn to the ground. 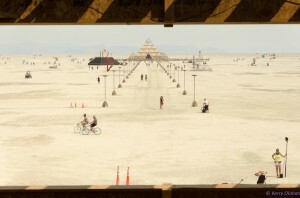 Ah, the big ‘meaning’ of Burning Man, to let go of the past and always start fresh with new eyes and an open heart and mind. How metaphorically easily done, right? 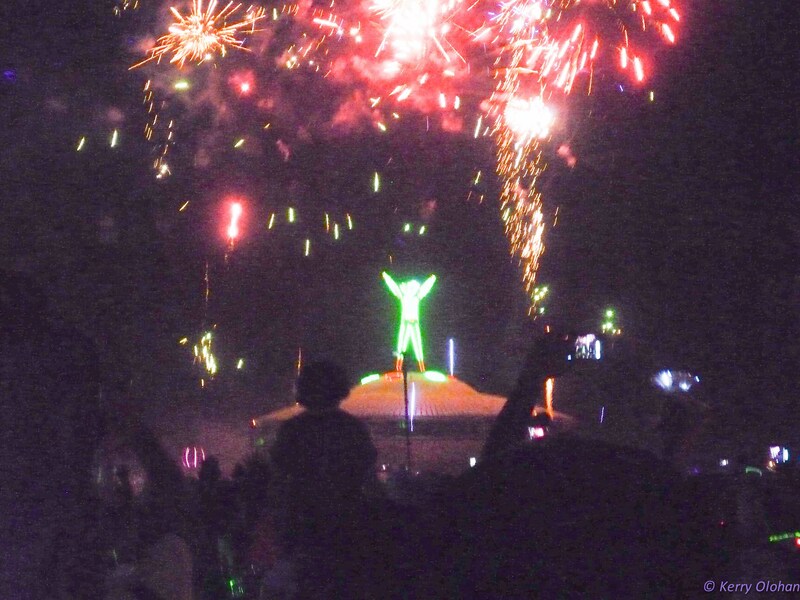 And one of the big reasons why my Yogi principles can fit so nicely alongside the 10 Principles of Burning Man. 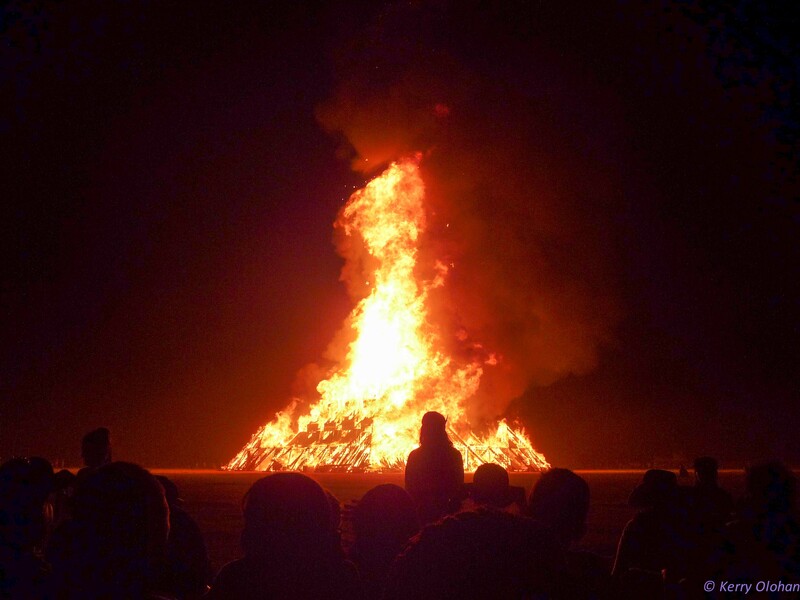 If the Man burning is about the letting go, then the Temple Burn on the following night is more of a somber experience on a smaller stage (a lot of people leave after Saturday night). We sat VERY close to the Temple Burn, and could feel the extreme heat that goes with the letting go, the fire of our passions, the ways of our future, the beautiful camaraderie of our fellow humans. We hugged, we protected each other, we shared stories and we were totally content with where we were, right now and the tremendous peace that it brought. Whether traveling the world or enjoying our own worlds within our doorways, being full of gratitude at all we are, and all we can be, is what it is all about. Namaste. 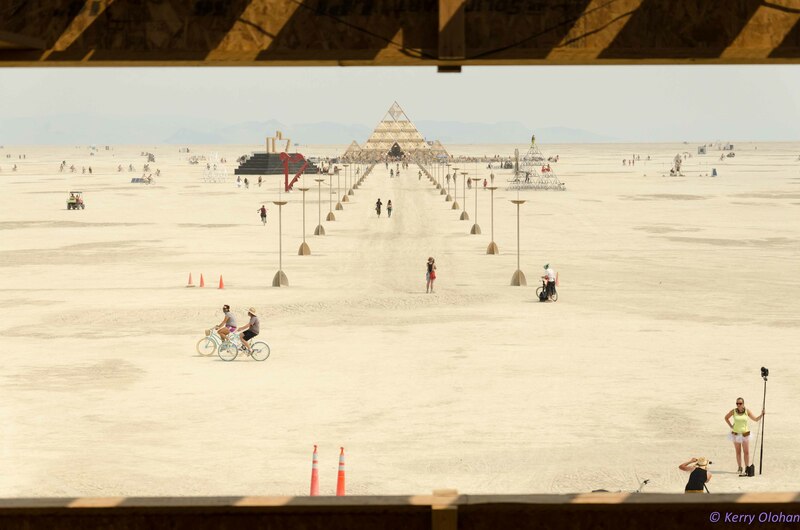 This entry was posted in Antecdotal, Travel and tagged Burning Man, Burning Man 2013, The Temple. Bookmark the permalink. 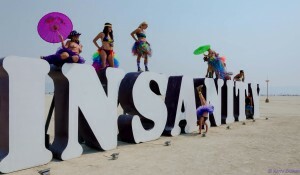 wow, never have I been there but after reading this blog it makes me wish I could attend. I think we all need to learn to leave are past behind us and all need a new beginning . Thanks for explaining this wonderful event for me . Inspiring, K! Maybe next year will be my year to be a virgin Burner.